I took my spinning fibers and yarns a couple days ago to Sage Yarn in Falmouth on Cape Cod. We lived in Falmouth for two years and I always love the chance to go back. It is only 45 minutes from here so it is easy to do. The first year we lived in a big old sea captain’s home. I grew up on the Connecticut coast and used to hear the fog horn in the distance. The day we moved to Falmouth was rainy and I felt instantly at home because I could hear their soothing fog horn from my bedroom. The next year we lived in a tiny winter rental beach cottage. Size wise we went from one extreme to the other. 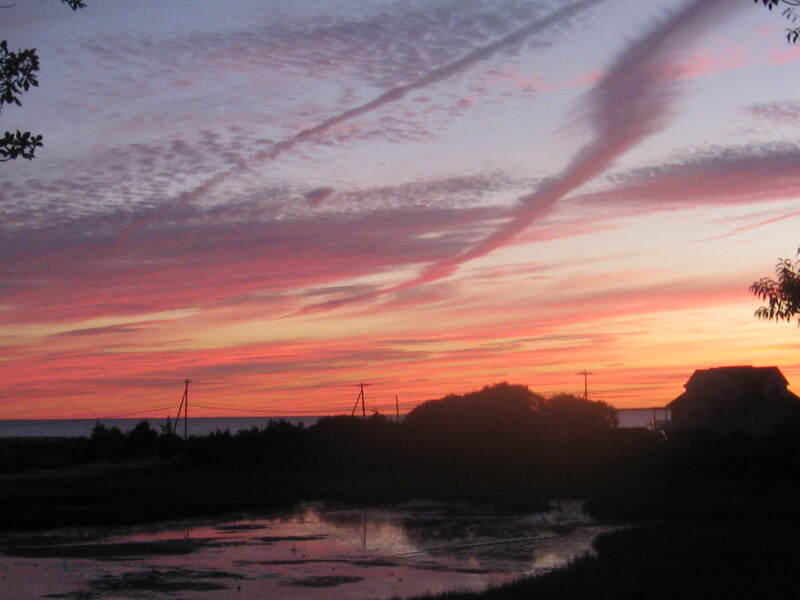 Almost every evening we could sit in our living room and looked at the most spectacular sunsets over Old Silver Beach. Below is the beach as I saw it on this visit. Still spectacular. The white isn’t foam, but chunks and chunks of ice. 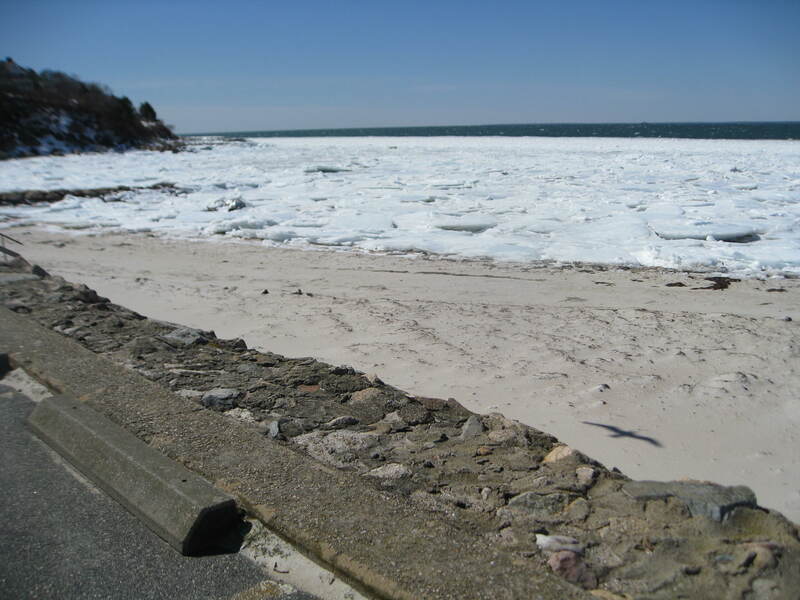 I loved living on the Cape and especially loved the off season. The natural beauty was still there and somehow it seemed more like real life then. The nuts and bolts of it. One of the great things about my time in Falmouth was getting to know Sage Yarn. It is a beautiful bright shop. 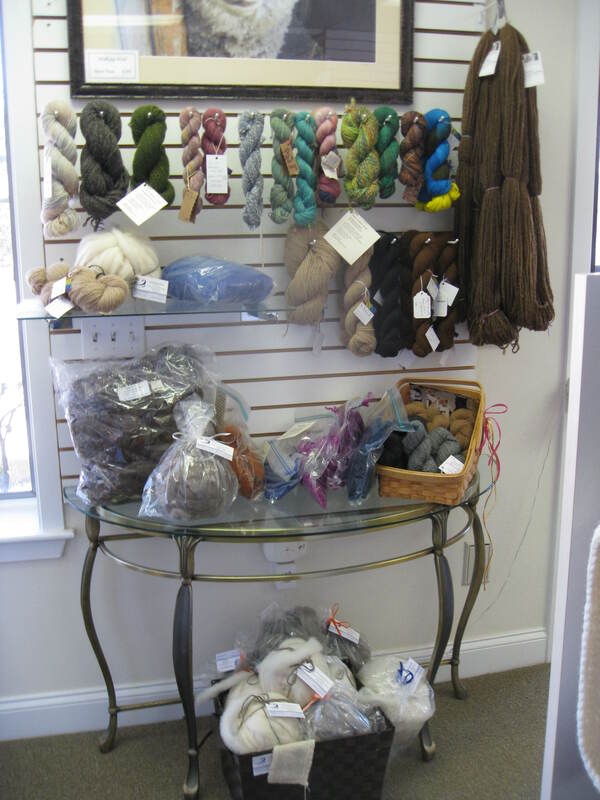 Here is the selection of handspun and hand dyed yarn and spinning fibers which are sold on consignment for those of us who love to make more than we know what to do with. Well, this year I planned with determination to only buy part of a shared fleece because I have so much. I really tried to walk away from this roving she had but it called so loudly to me that it was impossible to leave it behind. Some of it literally clung to me- well, maybe the velcro on my coat- which I noticed later. 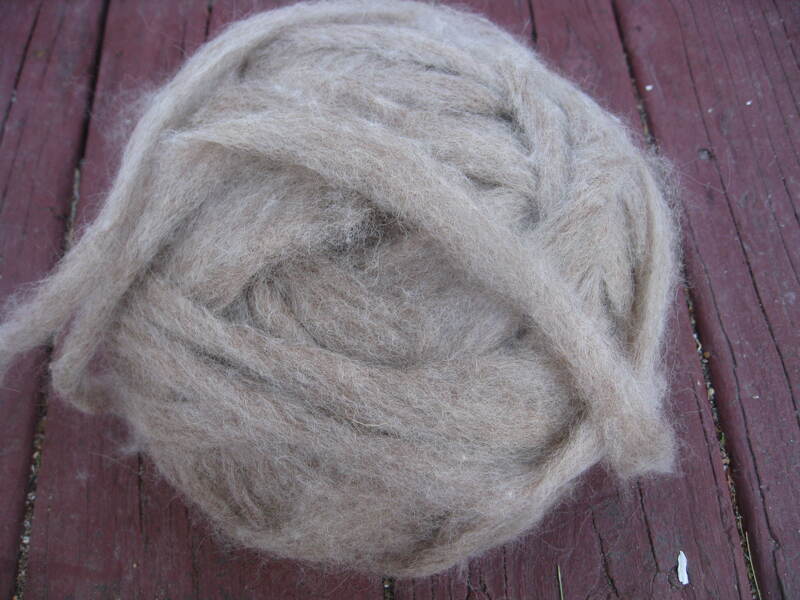 It is a Romney/angora combination. 83% Romney and 17% angora. (How do they get the percentages to be so precise??) So unbelievably soft. It is from the Wind Ridge Farm in Ashburnham MA. I looked forward to experimenting with it. I took some of the fibers apart to see what I was dealing with. The Romney is below the ruler and the angora above. 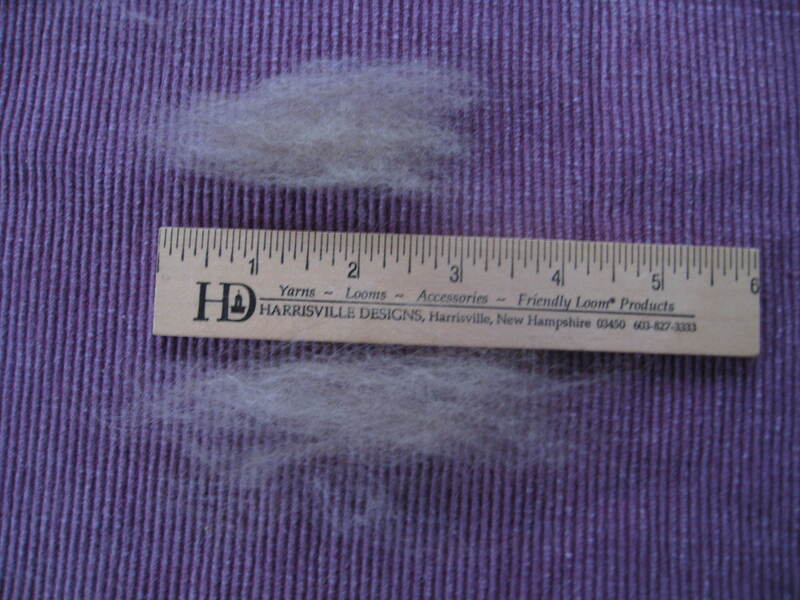 Romney is a sheep that can grow long locks, and angora is from a rabbit and has short fiber. Typically longer fibers like Romney are spun in a worsted fashion which pushes the air out and makes a sleek yarn and shows the fiber’s sheen. The Angora rabbit’s short fibers are spun with a woolen technique which keeps the air in and makes the yarn fuzzier. Angora needs a lot of twist put in it to hold it together and Romney does not. These Romney fibers aren’t too much longer than the angora so the length differences shouldn’t be a problem. I was excited to experiment to see what techniques work for this blend of fibers. 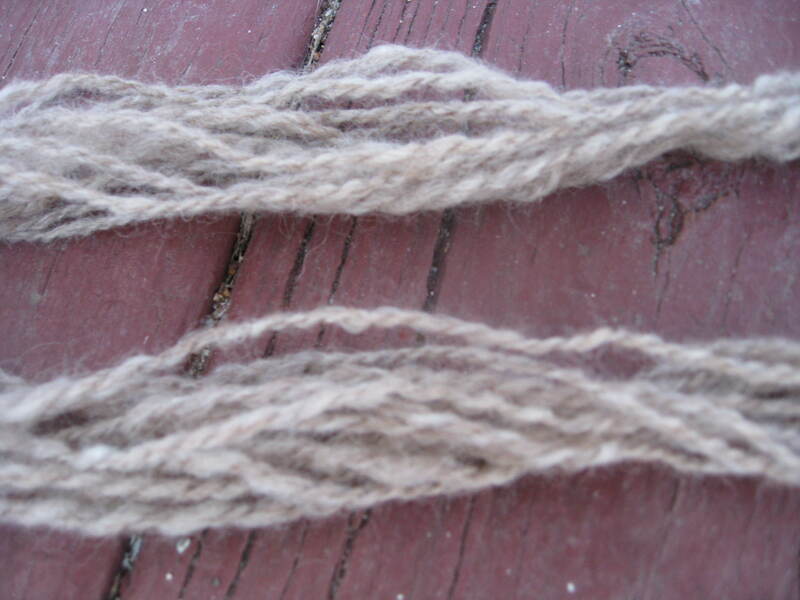 After playing around today I ended up spinning it with my usual semi-worsted style. I found myself treadling three times as I moved my fingers back about 2 inches each time, and treadling twice to allow it to feed onto the bobbin. The band was on the second smallest whorl to give it a lot of twist but not a super tight twist. It is soft and strong and lovely. I may end up dyeing the skeins when they are made to get unique gradations of color since it contains so many variations of grays. Another wonderful result from Falmouth was getting our cat from a fabulous shelter, People for Cats. She was semi feral and for months hid in terror from us under furniture. Things have changed. 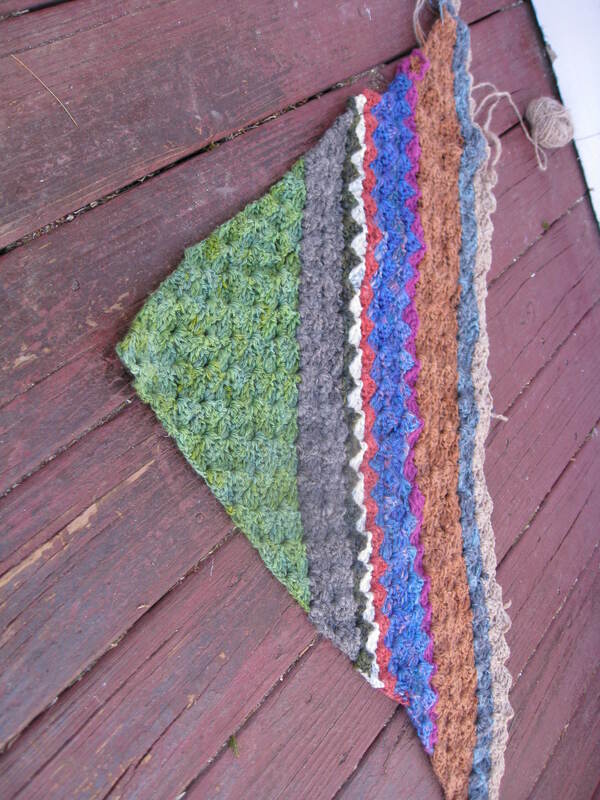 I love to find new ways to use up leftover yarn and now I am having fun making this afghan. It is kind of like a quilt in that I remember the items made with almost all of them. In it is my first experience dyeing with black walnuts. There is gray alpaca from Firestar who lives on the Cape. Lots of memories. Okay, what I really should be working on is an Einstein coat I started when I lived in Falmouth. I did start it but made the first piece too big so started over again. I told Jen that some day when I am very old I will come walking in with my cane and proudly announce that I have finally finished it! So much fiber so many ideas so little time. 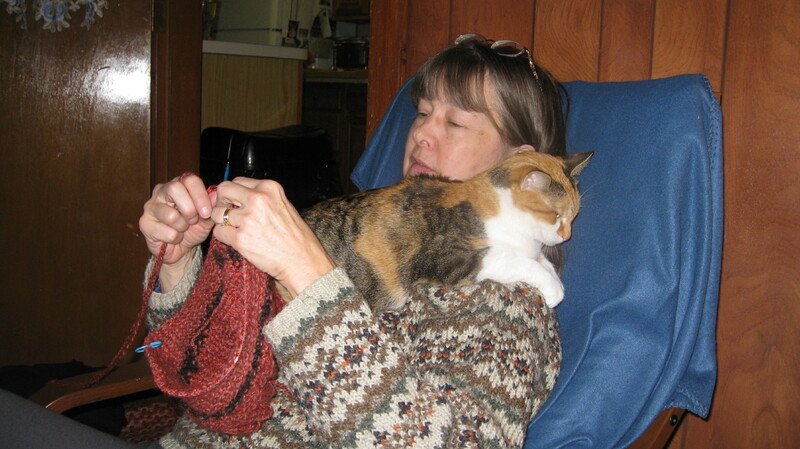 This entry was posted in Uncategorized and tagged angora rabbits, Cape Cod, Cape Cod sunsets, Falmouth MA, fiber spinning, handspinning, handspun afghans, handspun yarn, People for Cats, romney sheep, Sage Yarn, Wind Ridge Farm, woolen spinning draw, worsted spinning draw on March 23, 2015 by Betsy Alspach.